Unique system of heat recovery from aprox. 2Pflop supercomputer “salomon” in national supercomputing center in it4 inovations building in ostrava. Cooling is done by water loop on 30–50°C. Water loop cooling system on this temperatures by itself can save tens of percent of cooling operating costs, allso thanks to possibility of freecooling. 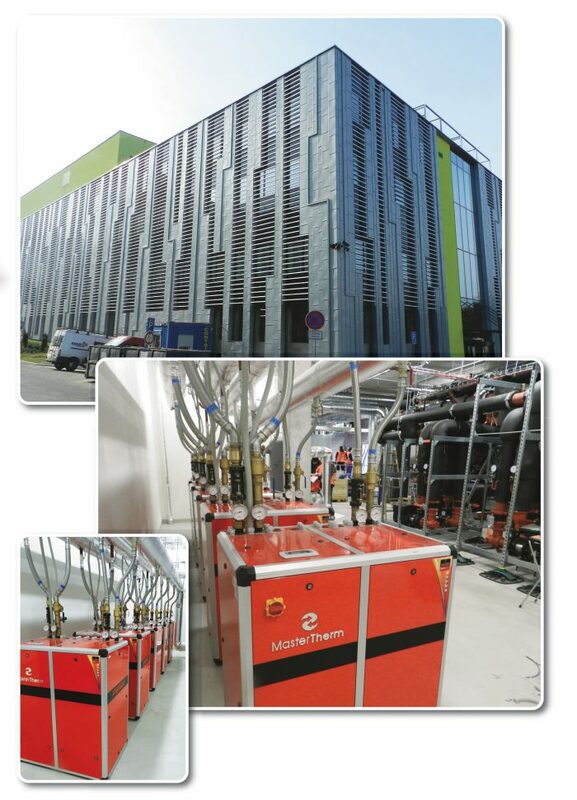 Recovered energy is transfered to 5 heat pumps Master Therm AQ 180.2X with total heating capacity of 450 kW (W40W60). On secondary side is possible to reach up to 60°C with wery high efficiency. Energy is used to building heating and sanitary hot water preparation.